Marga Richter Interview with Bruce Duffie . 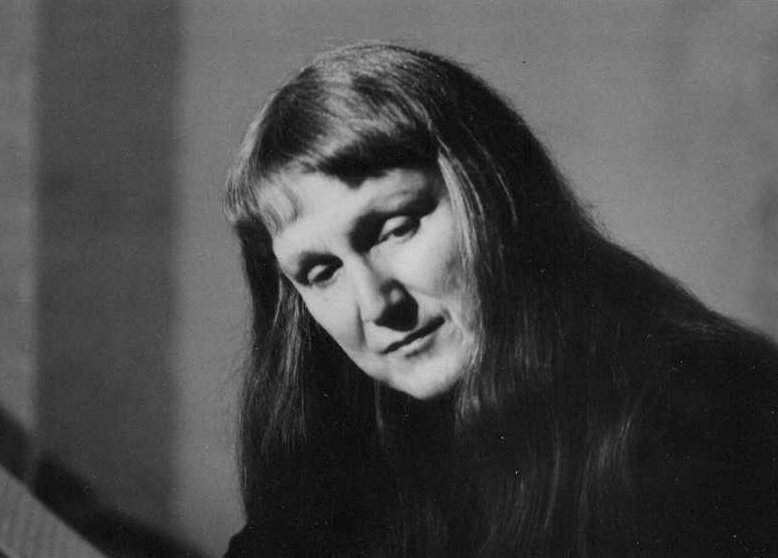 . . . .
Marga Richter was born on October 21, 1926 in Reedsburg, Wisconsin, and received her early musical training in Minneapolis, Minnesota. 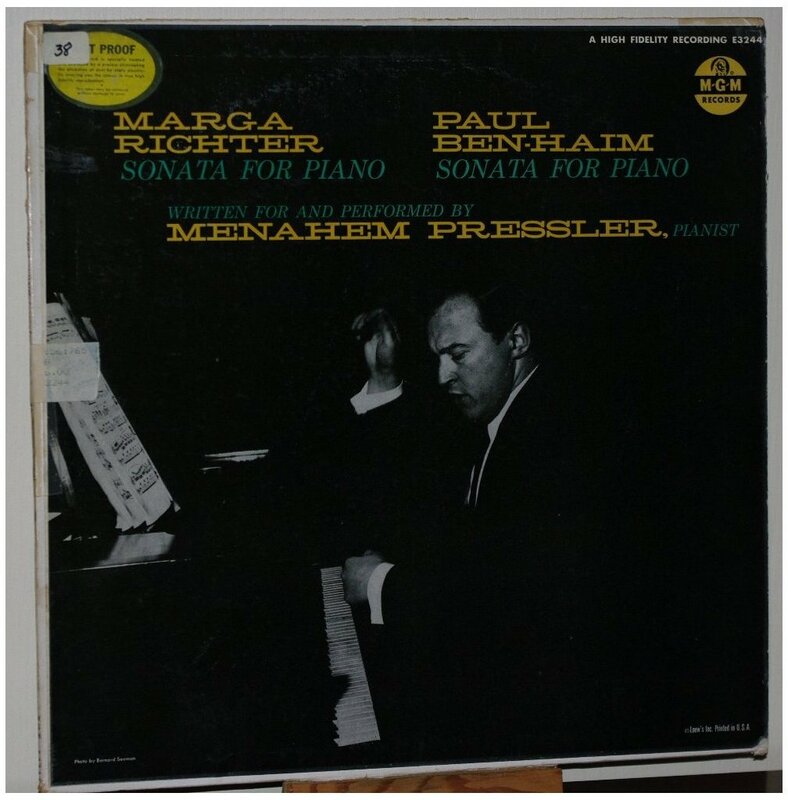 She earned her Bachelors and Masters Degrees from the Juilliard School, where she majored in piano with Rosalyn Tureck, and composition with William Bergsma and Vincent Persichetti. Her music has been played by more than fifty orchestras, including the Atlanta and Milwaukee Symphonies, the Minnesota Orchestra and the Buffalo Philharmonic, and recorded by the London Philharmonic Orchestra (Blackberry Vines and Winter Fruit, Leonarda LE331), the Seattle Symphony (Out of Shadows and Solitude, MMC-Master Musicians Collective), and the Czech Radio Symphony Orchestra (Spectral Chimes/Enshrouded Hills and Quantum Quirks of a Quick Quaint Quark, MMC). In addition, her music has been released on M-G-M Records, Musical Heritage, Gasparo and Grenadilla. One of her best-known works, the ballet Abyss, has been performed on five continents by the Harkness Ballet, which commissioned it, and by the Joffrey, Boston and Pennsylvania Ballets and other companies. 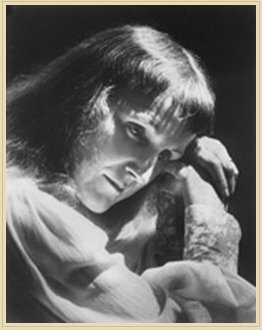 Among the artists who have performed her music are soprano Jessye Norman, pianists Menahem Pressler, William Masselos and Natalie Hinderas, violist Walter Trampler and violinist Daniel Heifetz, who commissioned her Landscapes of the Mind II for violin and piano, which he included in his prize-winning Tchaikovsky Competition concert in Moscow and recorded for Leonarda (LE337). 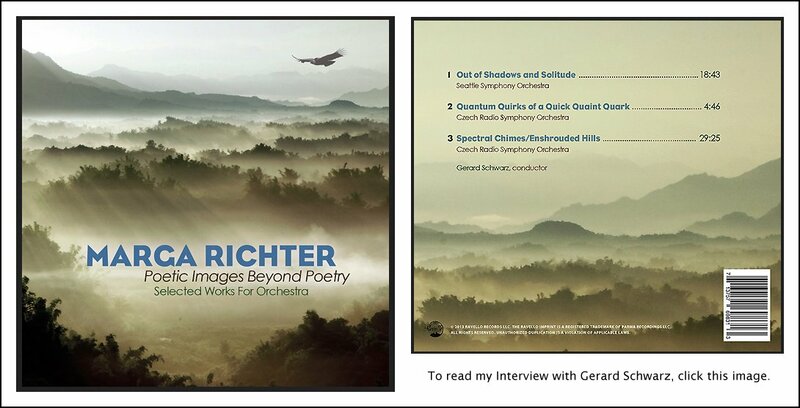 Richter's music is published by Carl Fischer, G. Schirmer, Broude Bros., Presser, Vivace and Shrewsbury Press. 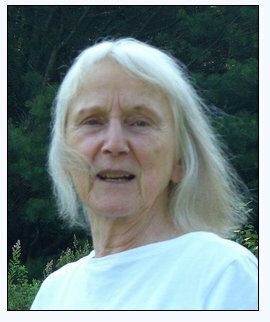 She has received grants, fellowships, commissions and awards from the National Endowment for the Arts, National Federation of Music Clubs, Martha Baird Rockefeller Fund, Meet The Composer and ASCAP. She is included in the Major Figures in American Music Oral History Series at Yale University, Women and Music in America Since 1900 – An Encyclopedia (selected as one of the best reference books of 2003 by Library Journal), The New Grove Dictionary [see my Interview with Editor Stanley Sadie] and Baker’s Biographical Dictionary [see my Interview with Editor Nicolas Slonimsky]. 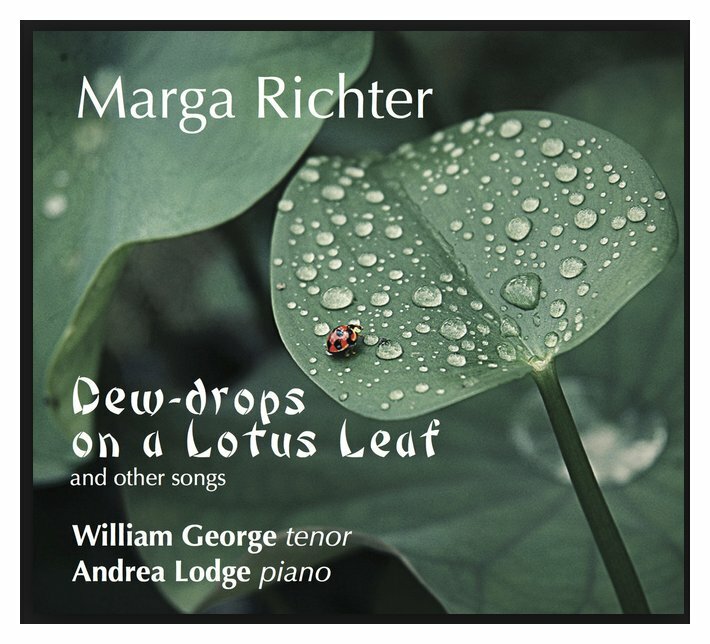 A doctoral thesis by You Ju Lee entitled Marga Richter: A Biographical Sketch and Study of Her Piano Works With Emphasis on Sonata for Piano was published by the University of Georgia Press in 2000. 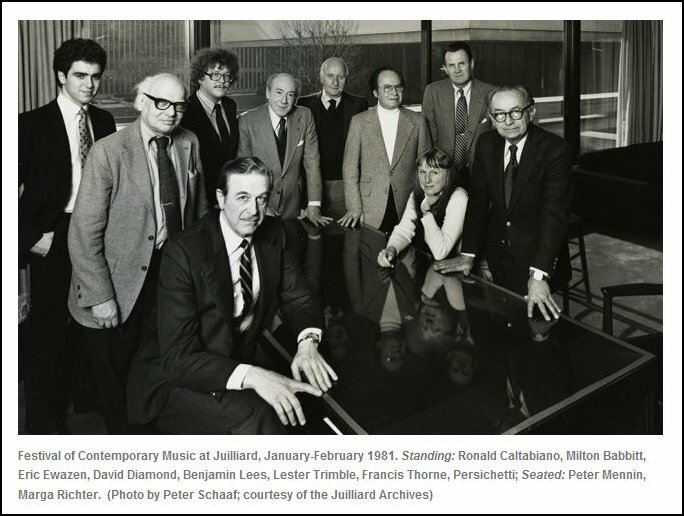 With Herbert Deutsch, she co-founded the Long Island Composers Alliance in 1972 and has, at various times, served as its co-director, president and vice-president. 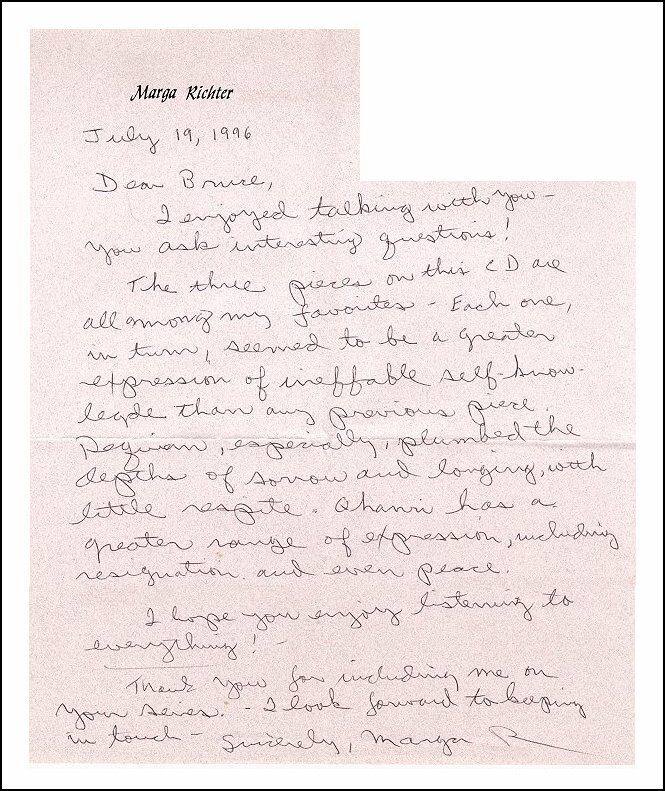 It was in the summer of 1996 that I had the pleasure of contacting Marga Richter about doing an interview. Since she was not planning a visit to Chicago in the near future, we arranged to chat on the telephone. She was very enthusiastic about her most recent disc, so that is where we pick up the conversation . . . . .
Bruce Duffie: Let’s just start right there. Are you pleased that quite a number of your pieces have been recorded? Marga Richter: Well, of course. It’s wonderful having it recorded although then you can never change it. 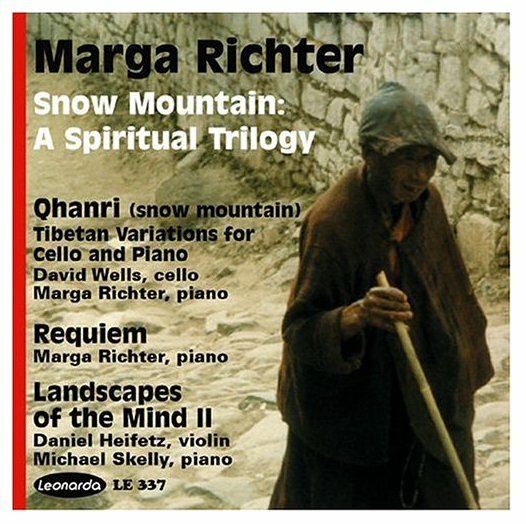 My latest CD is on Leonarda and is called Qhanri which means “The Snow Mountain” in Tibetan. It is scored for cello and piano. I made up the title myself. [laughs] I bought a Tibetan dictionary and went through it and found two words that I could pronounce and put together. BD: So you’re creative in language as well as in music. MR: Yes. [laughs] I wrote this piece after I went to Tibet and it’s very personal to me about their plight. BD: What is it about Tibet that has captured you? MR: My husband and I took our only extended trip; we went to China and added Tibet because it seemed like a fascinating place to go and he was very interested in Tibetan Buddhism. MR: This was 1986, at the point when they were lightening up and letting people in; then, shortly after that, it all closed down again. The Chinese presence was everywhere and I could feel the tension. I’m sure it was there. The Tibetan people looked pleasant enough but you could tell they weren’t all that happy. I had been asked to write a cello and piano piece before I went, and when I got back that whole experience was in my mind. So that’s why I wrote this particular piece. It’s a long series of variations with no pauses between and it’s about thirty-five minutes long. BD: So it is a major work. MR: It is, ys. In fact, it’s probably the favorite piece of mine, maybe of anybody’s. BD: Is it right that a composer should rank the various pieces that you have written? MR: You mean, is it morally correct? BD: Is it a good idea? MR: I don’t see any harm in it. Other people may disagree, but it certainly points to certain pieces and of course I love almost all of them. BD: I would hope that you would like the pieces that you write. MR: Sometimes you feel like you could have done better. I have one or two that I won’t mention, that I don’t like very much, but they happen to get played a lot, including the one I like the least. BD: Who should make the judgment about the pieces of music? Is it the composer, is it the public, is it the critics, is it history? MR: Eventually it has to be history; otherwise, it is just forgotten. So, I guess we have to write the music because we have to write the music and hope for the best as far as history goes. Even what’s going on right now in your own life — it’s not always what you would like, but if you write the music and love doing it, that’s the main thing. BD: You mentioned that this piece is reflective of your experiences in Tibet. Is it safe to assume that basically everything that impacts your life is eventually going to impact your musical creation? MR: Yes, in my case, particularly. I don’t know about other people, but yes. I was thinking earlier that my music is definitely a response to my life, and if something very emotional happens I sometimes just write a piece about it immediately. Sometimes you put it aside and then when you are writing a piece you draw on those feelings. When my mother was dying of cancer, I wrote a piece called Lament, and it certainly has everything in it that you would expect. There are some personal things in one’s life that you don’t tell anybody, but they’re there and they come out in the music. Some people write music, as I put it, from the outside in. They seem to construct music; they think about it in terms of form and melody and canons and all that kind of thing, and they go merrily along. But I almost never do that. For me, it has to come from something inside and I never know what’s going to happen when I start. The few pieces I’ve tried to plan out ahead are the ones I like the least, so I guess I like that thrill of discovering. It’s like when you take a trip, you don’t know where you are going and you just go. BD: So when you sit down with a pencil in hand at the first bar, you don’t know where you’re going to wind up? MR: Absolutely, and each day is a new experience of finding out where this thing is going to go and how it’s going to grow. It’s very exciting. BD: Then the question becomes, how do you know when you have gotten there? MR: Ah ha! [laughs] I start at the beginning of the piece I’m working on every day. No matter how long it gets, I play through the whole thing, or go through the whole thing each day before I add anything to it, and if it doesn’t feel like it’s the next step, then I work on it ‘til it does. And then one lucky day you say “Gee. That’s the end. How lucky! Now I can go to the movies.” [laughs] I can wash the dishes and do all these things you put off while you’re working. BD: [incredulously] You don’t really let everything go until you finish the piece, do you? MR: No, but a lot of stuff, and then suddenly it’s just a pleasure to do the housework or whatever you have to do, go shopping or whatever. But you’ll find that when the deadline nears with certain pieces, you’re just glued to it, chained to it; then that moment when you finish is so releasing for so many reasons. BD: If you start each day at the beginning and go to wherever you have gotten the previous day, do you ever change anything way back near the beginning? MR: He is. I changed a piece once and I’m sorry because it seemed a little naïve the way it ended, but it’s just the piece, and when I got a little more sophisticated, it really felt like it was tacked on. So you have to trust your first instincts whether they are your second or third, but not your twentieth. BD: So you’ve got to learn to let it go. MR: Yes, absolutely. You know that’s the best you could do then, and it’s finished. Go on. BD: When you let it go and give it to the performers, are there times when they find things in the score that you didn’t know you had hidden there? BD: Were there times when you said, “Yes, it must”? BD: So eventually you get it to where like the performance and you’ve worked on it and prepared it and you get it right. Is there only one right way to perform any of your pieces? MR: I’m afraid I think so and that’s probably a fault. I sometimes over-edit them, especially piano music because, as a pianist, I have certain ways of doing things such as pedaling. Actually, I hope people will take very seriously the pedaling that I have put into my pieces because I put down what I’m doing and it takes me days to figure it out; it’s not what a normal person would do at that point. As soon as I start thinking about it I can’t do it anymore, so I have learned to put things down immediately when I do something that seems a little odd because as soon as I put my mind to it, it doesn’t seem to make any sense. BD: So then you’re not really creating that part, you’re transcribing your footwork. BD: Should they do it that way? MR: Of anything, or of my music? MR: There probably is of certain pieces, pretty perfect anyway or perfection that one can strive for. I don’t think we are using the word “perfection” quite as we mean though; we mean “ideal,” right? MR: I think so. I’m especially interested in the fact that I’ll play any piece of mine pretty much the same way over and over and over. I get it the way I want it and that’s the way I want it. However, I was just reading about some other performer – I think it was Claude Frank – who said that he never played anything exactly the same way twice. He wanted to just feel it at the spur of the moment, and do it. So I guess there are two schools of thought. BD: So, what happens when Claude Frank gets a hold of your Piano Sonata? MR: [laughs] I don’t think he is likely to. BD: Is there anything that the composer can do – or should do – to encourage more performers to play new music? MR: You have to meet the performers and get to know them. There’s an awful lot of new music that is played today, and, of course, there are a lot of people who don’t play new music. I don’t know if you can ever talk them into it unless they know you; then they become interested because it’s a personal thing, you know. But that’s a good question. I haven’t got an answer to that one. Each one, in our own lives, tries to get other people to play their music and we’re more or less successful. BD: You seem to have been fairly successful at least. MR; I think so. At this point, everything I’ve written has been played at least once, and that’s pretty unusual. BD: That way you’ve heard everything. MR: Yes, and I can make all those changes I naturally make. [laughs] When you first hear like a big orchestral work, there are always things like balance and dynamics that have to be changed; sometimes a few notes and sometimes a bit of orchestration. So it is always good to hear those things and then go home and make these changes. Then you feel like it’s ready for the next time. BD: Should we get a foundation to support an orchestra that does nothing but read through scores for the benefit of the composers? MR: There are a few organizations like that, but they don’t do enough pieces. They do three or four a year; there was also an organization started to give second performances of things. That’s the other thing... If you have a premiere, everybody will take a chance on it, but they always want something new so they can perhaps get the publicity, or don’t have to be responsible for whether it is good or bad; if it’s a premiere, you didn’t know. That’s why people play commissioned works a lot. You ask somebody to write something and when you play it, if it turns out to be a dog, well, [laughs] you’re stuck with it, and if it turns out to be a great work of art, then you were very perceptive. BD: Sounds like they’re trying to evade responsibility with that kind of setup. MR: Right. Exactly. And, of course, you get more publicity for it and people write you up in the paper as a “Big Premiere.” Then they’re on to the next premiere. It’s a hard life. Are you a composer? BD: No, I’m a historian and music educator, and I’ve been in radio for a long time. I do my best to promote living composers, mostly American, when I can. MR: That’s very good. It’s wonderful. We love you. BD: You are of an age that has observed quite a number of changes that composers coming along take for granted, especially women composers. 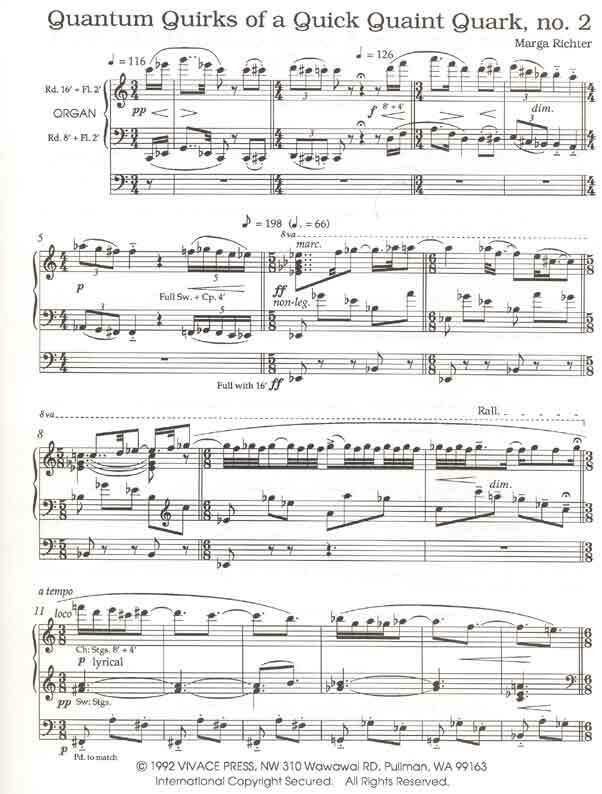 I assume composers today take for granted the fact that they can get their pieces performed, and yet you are of an earlier generation where this was a little more difficult. MR: Yes, only I didn’t realize that at first. BD: So you didn’t know how bad you had it until it got better? MR: [laughs] That’s right. I was at that age of innocence in so many things. We just did things and didn’t have our eye on how to do it. I just wrote music because I felt like it, and I kind of fell into being a composition major at Juilliard just because my piano teacher, who was Rosalyn Tureck, left the school after one year. I wanted to stay with her and I wanted to stay at the school, so I said “I’ll be a composer.” I had written music since I was about twelve but I didn’t take it seriously, not because I was a woman but just because I didn’t know. I was very innocent. BD: Has it gotten better lately? MR: It was much better for a long time. Now it’s harder again because there are too many people and less money to go around. I don’t quite know why it’s worse, but I think it’s because there are too many people and they know better how to do it than I do. I’m not really complaining. On the other hand, I’m not at the pinnacle. BD: Would you be happy if your music was played on major concerts all the time and heard in elevators and whistled as people walk down the street? MR: [laughs] Every time I hear Aaron Copland in one of those commercials I say “Gee that’s pretty.” Sure I’d be happy. I found out one interesting thing, though. When I started to have major orchestral performances, you get a letter one day that the Atlanta Symphony is going to do your concerto, and you jump up and down and you say “Oh, that’s wonderful.” Then five minutes later, or the next day you ask, “What now, what now?” It’s never enough. That’s what people find out. People never have enough money, they never have enough recognition; there isn’t any such thing as enough, so you really have to go back to the roots of doing it because you love to do it. BD: I assume you love to do it. MR: I do, yes. There’s no greater pleasure than writing music that you love, and other composers have this same experience. You write a great measure or a phrase and you just jump up and down and swear. Oh boy, that’s really great. BD: And then move on? MR: And go on to the next phrase, right. When that piece is over, you take a little rest and all of a sudden you’re writing another one. BD: For whom are you writing? MR: I’m writing for me but I’m also hoping to write for the great multitudes who will someday wake up to the fact that they can’t live without my music. [laughs] My daughter always asks “Are you writing for fame?” and I say “Not really.” I just think the music is so, may I say, so beautiful that I want more people to hear it. She can’t quite believe that I feel that way, but she agrees with me that it’s beautiful music. 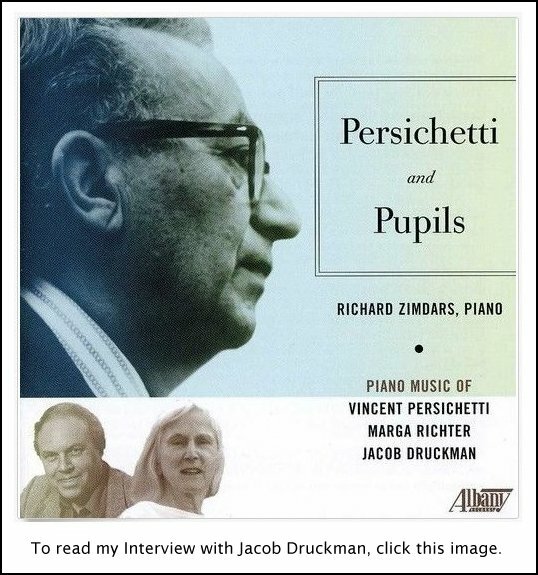 See my Interviews with David Diamond, Alan Hovhaness, and Virgil Thomson. BD: Is she coming around a little bit? MR: As to believing that I want it played because I want it played and not because I want to be famous? MR: She has other things to think about. I don’t think she gives it any thought anymore. BD: She has her own life? MR: She has her own life, right. But she is one of my staunchest supporters and admirers, so that’s nice. And my son also; the whole family was. There was no lack of support there, so that was good. BD: We’ve been dancing around it a little bit so let me ask the big philosophical question. What is the purpose of music? MR: [Pauses a moment] I’d like to say something really embarrassing. When I listen to music, I like to close my eyes and just listen because if I’m at a concert it’s so distracting when you watch what’s going on. One night at a concert, my son played a Schubert sonata, and it was so beautifully done. He’s a wonderful pianist, and I felt that the piece had to be written to prove the existence of God. That’s a little strange to say, but it feels like it has something to do with that. BD: That’s a wonderful feeling and a wonderful way of looking at it. 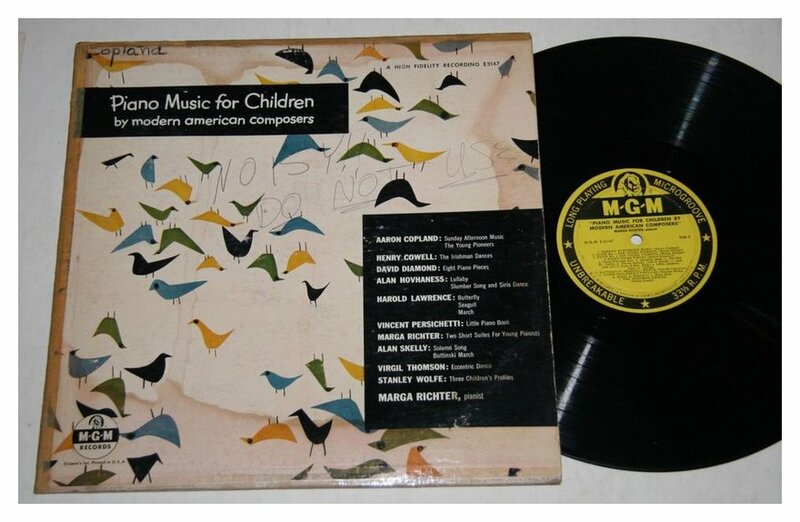 Has your son performed some of your music? MR: He’s played a lot of it. We have a two piano piece and a four hand piece and some solo stuff. He’s a wonderful pianist who doesn’t care to get out there and fight. He plays when somebody asks him to, and he plays magnificently. He teaches piano at Columbia University and he has a nice life because he doesn’t worry about competing with everybody else. He does what he wants to do. But to go back to David Wells and the cello piece, we rehearsed it two or three times just getting the notes, and then one day the music came to him and he just looked at me and said, “ You know, God has spoken to you in this piece and now he’s spoken to me.” That was just so beautiful. There you have it. BD: Maybe we should encourage composers to remember that God is part of the creative process. BD: Is there something inwardly or outwardly spiritual about the music that you write? MR: I would think so. It’s a hard thing to put into words because if you could put it into words, you wouldn’t have to have the music. Like I said, my music comes from within. I write it from the inside out, so it has to have something to do with the spirit. BD: Have you done some teaching along the way? MR: Not composition; I’ve taught piano for many years. BD: Why have you opted not to teach composition? MR: I didn’t so much opt as it was never an option. I didn’t need to teach. We were the old school where my husband supported me and I stayed home and wrote music and gave a few piano lessons and took care of the children. I don’t think I would be able to teach composition. My method is so personal and my feelings about contemporary music are so narrow, if I may say that. It sounds terrible, but I think it’s true. I don’t embrace all kinds of other music, and so if students came to me, I don’t know whether I could give them what they need. So I don’t want to be responsible for that. BD: Not having to give them everything, do you have any bits of advice for young composers coming along? MR: If anybody came to me and called me up and came over and talked to me, I’d be willing to talk to them for a while but not to actually teach them. It’s too much of a responsibility; I just wouldn’t be able to do it. So don’t call me. BD: [laughs] Is there something that young composers could learn just by studying your scores? MR: Boy, I don’t know. That’s a hard question. I’d have to think about that. I have a feeling that a couple of people have learned something, but I can’t remember who they were and what it was. BD: I wonder if your scores should be heard rather than dissected. MR: Yes. You know, I’ve never won a contest, and it’s because when you look at the music, it doesn’t tell you what it’s going to be like, especially the beginnings of pieces. Somebody said to me the other day, when you have these contests for grants, they want to hear the first four minutes, and I said, “You know, I can’t even take a deep breath in four minutes. It needs at least ten minutes to get started.” [laughs] There’s a lot of rhythmic strangeness in my music, yet it looks ordinary. It doesn’t look weird but it changes tempo constantly. For instance, there is an ebb and flow; it’s by inference but it’s not by any system. Actually I had a piece recorded by the Seattle Symphony this year, and the trumpet player was all excited because he thought I had done something with metrical modulation. It wasn’t, and as soon as he found out there was no method to it and it was just the way it was, he lost interest. He thought it was the greatest thing going until I told him “No, that’s not what I’m doing”. BD: [laughs] You should have let him continue with his delusion. MR: Right. He wanted to know whether it was like the Elliott Carter business with the metrical modulation. [See my Interview with Elliott Carter.] The music has varying phrase lengths and accents and things that come in places that you don’t expect them to; it just kind of flows. It’s like the tide going in and out; there’s a certain movement to it. One person wrote a review of my Seacliff Variations and said, “You don’t listen to this music with your head, you listen to it with your soul. You just have to sit down and it just takes you from beginning to end. You can’t even breathe. You just hold that breath from the beginning to the end of the piece.” I don’t know how you would see that in the score or how you would teach it, or if anybody else wants to do it, but that’s certainly a component of my later scores. BD: It seems to be more of the inspiration than the technique. MR: Mm hmm. But it sometimes takes me days to figure out where I want that accent to be because it can come in different ways. And sometimes I can’t decide where that downbeat should be or which way it would go. It’s almost like I’m speaking a language and I haven’t got the accent right, you know, the ictus, the meaning. BD: Perhaps you need to write a few more bars beyond it to understand it. MR: That’s sometimes true, too; it sometimes illuminates what’s come before. BD: When you get a commission for a work, how do you decide “yes I’ll accept it” or “no, I’d rather not do it”? MR: I don’t think I’ve ever turned any down. I don’t have that many coming at once that I would have to do that, so I will accept most anything. If I don’t particularly want to write the piece, then I have to have money. If I do want to write the piece then, less money is OK, and the fact that I want to do it, or I want to do it for that particular group or performer. I did write a solo trombone piece that I didn’t really want to write and it’s a terrible piece. [laughs] The person paid me quite a lot of money and then she never played it. I shortened it and then somebody else played it, and it’s in the process of being revised yet again by another trombone player. He seems to think there’s something in it and I said “You go ahead and write the piece.” So he’s going to send it to me when he gets it all worked out. It will be interesting to see what he comes up with. BD: Should there be two names attached to it then? MR: Probably, or maybe I’ll just sell it to him. BD: Be a ghost writer. MR: Sometimes it is. It mostly is. The part that’s not fun is writing it all out and getting it in good shape and making those final decisions when you have so many different scores that you have to get ready. In the process of getting it done, you write it out so many different times and I don’t have a computer yet. I’m writing an opera right now and I am in the process of doing a few of the scenes with piano accompaniment so this person can get some funding by auditioning the thing. I was working away today and I was saying “This is not fun. This is not fun.” Copying, copying, copying all those words; I wish had my computer. I’m going to get into it one of these days but it hasn’t happened yet. BD: I wish you lots of success with it. I’ve had fun with the computer, but I don’t compose music on it. MR: Everybody says it’s a lot of trouble, and after you learn it, it still takes as long as doing it by hand; it just looks much better. I can print those words when I print them, gee whiz. Tell me... Do you enjoy your work? BD: I love it. I wouldn’t trade it for anything. BD: I’m having a blast. This is my twenty-first year at the radio station. It’s been a lot of fun and I hope for another twenty-one. [Note: WNIB, Classical 97 in Chicago was sold and changed format about five years later, in February of 2001. Other information about the station as well as photos can be found elsewhere on this website.] But enough about me. Returning to your music, how did you get roped into doing an opera? MR: I didn’t get roped. I’ve been wanting to write an opera for years on one particular thing. I won’t say for public what it is because these things have a way of suddenly everybody takes it and does it sooner, so I will not mention the name of it. 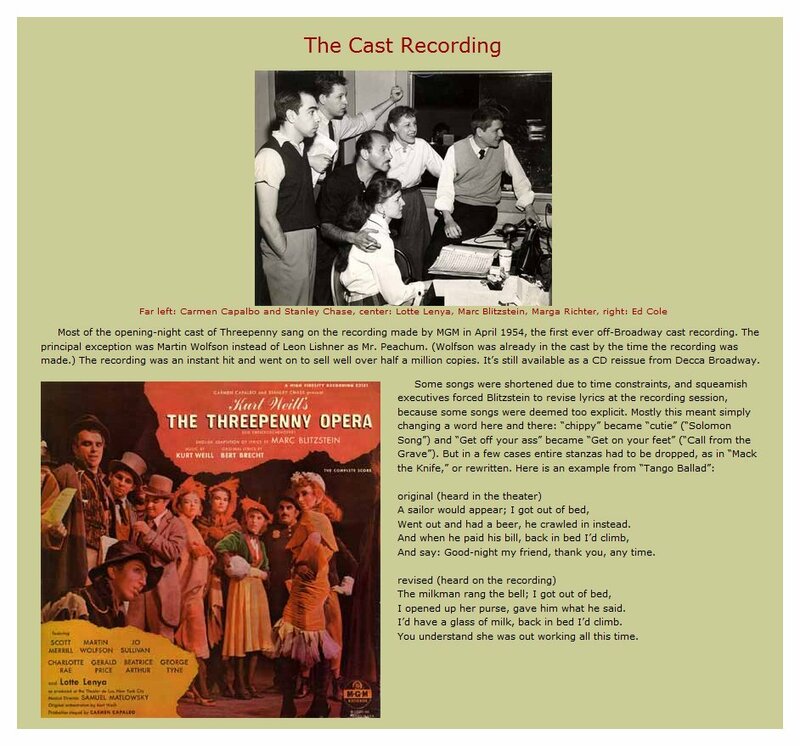 MR: But my husband said to me, “Don’t you dare write an opera unless you have a firm commission for a performance and everything.” I still wanted to do it so I got in touch with Libby Larson. I’m sure you know her. MR: I told her I was thinking of doing an opera, and since she knows everybody and everything, did she have any ideas where I could get a commission? She’s put me in touch with a group called Millenium in Minneapolis run by Angela Mallack. On the recommendation of Libby she wrote to me and I sent her some music. She just loved it and so she said “Yes, let’s do it. Let’s do it.” So last summer in my Vermont home I did the whole libretto. I set all the words to melodies and I had all the harmony and everything, but I didn’t have the orchestration and the counter melodies and all that kind of stuff that you have to do. BD: So, you just wrote the tunes? MR: Yes. I wrote the tunes and the chords and so I was very pleased. It went very quickly and then I put it aside almost the whole year. I’ve been working sporadically on it but not really. So now she wants these scenes so that we can get serious about a co-commission and everything. BD: Is it a one-act opera or a full evening? MR: It’s a one-act, about an hour, and it’s going to be very interesting. It’s on an Irish theme and I’m planning to use some instruments I don’t know anything about. I was going use a bagpipe but I think it’s too, “present.” [laughs] You can’t get it out; it’s too loud, in other words, but I might still do it. BD: It tends to overwhelm. MR: Yes, it’s a little overwhelming, even the smaller ones. And I want to use an Irish harp and I think I’ll use a guitar because harps can’t be tuned chromatically. I can’t be in one key for more than a couple of bars, then I have to do something strange. BD: Do what Verdi did with the herald trumpets in Aida. He had to make two different sets, one in one key and one in another key so he could modulate. MR: That’s what I was thinking, have two harps, but that gets very cumbersome, so I thought a guitar would fill in nicely. Then I got onto a bass accordion, a button accordion it’s called, and I went to see this guy. I may have the name of it wrong, but it’s a big deal accordion and it can do the most amazing things including make the sound of the sea which we need, without giving the story away. I had heard that instrument on a tape that somebody sent me. It was a lot of Irish stuff and the last part of the tape sounds like a Beethoven quartet. It was so beautiful, just the harmony and this melody, and I thought what instrument is this and it turned out to be that, the one that I am going to use. MR: So that will fill in for a lot of things and it can sound like a bagpipe. It can just do everything. [laughs] Now along with that, I’m using a string quintet because I wanted to have some droning in different keys. I have two cellos and two violins, viola, and one percussion player and some pennywhistles. I don’t know very much about all this so it’s going be an adventure, that’s for sure; it’s going be fun. And it should be transportable because there would be about ten instruments and four singers. So we could do it from the back of a flatbed truck and tour Ireland. BD: Better be careful. If it becomes successful, they’ll demand another one. MR: Right, to go with it as a companion piece. BD: You’ve written some songs before, so tell me the joys and sorrows of working with the human voice. MR: I don’t think there are any sorrows unless you get a singer who isn’t any good. I found basically working with singers to be satisfactory. I haven’t written a great number of songs. I’ve written a rather small number of songs, but one of them is twenty-five minutes long. It’s a small Irish opera all by itself. So I’ve had an experience with that. I tend to write too high for baritone and too low for tenor. I haven’t got that really worked out yet but let’s see how this one works. I’m trying to be more careful. BD: Shouldn’t you write the way you want and then call it whatever it turns out to be? MR: But if you do it wrong, then they can’t sing it right. I recently wrote a piece for a baritone. I thought and it was just too high and he said “Marga, what are you trying to do? Are you trying to kill me? I can’t sing this. I can sing it very, very loud up there but I can’t sing up in that range softly.” So I changed it to soprano and she did very well. So then, for the opera, I thought, I did that same thing again. I used a baritone and it started to get too high, so I changed it to tenor, but now I think it’s too low. When it’s all written out I’ll have to send it to somebody and see what they think. MR: We could combine a dramatic tenor that sings a little lower than usual. BD: That’s the formula for the heroic tenor that does the Wagner parts. It has to be almost a baritone but still have the ringing top. MR: Yes, that’s what I need. I’m Wagner all the way, anyway. BD: Good. I wanted to ask you about your name. Are you are related to Wagner’s conductor Hans Richter? MR: I don’t think so. I don’t know that I am. I don’t know that I’m related to anybody not even Sviatoslav. I thought if I were, he could play my piece and we would say Richter plays Richter but he doesn’t do contemporary music much. It’s a famous name and maybe way back, if you go far enough, there might be some relationships, but nothing I know of. My own grandfather, however, was a conductor, and I always thought he was a conductor of symphonies and things, but in 1981 I had a chance to go to Germany where I met my cousin, and she said basically he conducted light operetta and band concerts. But he was a conductor and my mother was an opera singer who sang in Germany although she was an American. That’s how she met my father. He went to the opera and said, “Gee. She’s a nice looking woman. I think I’ll go backstage and get acquainted.” The next thing you knew, they got married. [laughs] So there’s music in the family. I have a terrible voice but my sister has a wonderful voice and my mother had a great voice. I don’t know how they skipped me; I just croak. BD: But they gave you the talent for musicianship. BD: Thank you so very much for sharing that talent with us. I hope for lots more to come from your pen. MR: Thank you so much for all your work. A few days later, I received this lovely note (below) which she wrote the day after our conversation. The CD she refers to is the one we talk about (and which is shown) at the very beginning of this conversation. This interview was recorded on the telephone on July 18, 1996. Portions were used on WNIB (along with musical examples) on October 19 of that year. The transcription was made in 2008 and posted on this website that November.